In the summer of 1978, Grease was the word. On Friday, June 16, 1978, the movie musical made a major comeback when a big-screen version of the long-running rock-and-roll stage musical, Grease, opened in theaters around the country. With a talented cast led by John Travolta and Olivia Newton-John and a memorable score featuring a mixture of oldies-style rock and contemporary pop, Grease captured the look and the feel of an old-fashioned Hollywood musical while taking audiences on a nostalgic trip back to the days of poodle skirts, malt shops, drag racing, and sock hops. 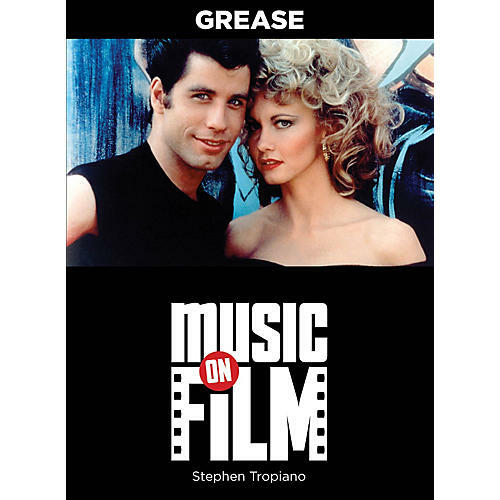 Stephen Tropiano takes a fascinating and revealing look at Grease as a cultural phenomenon - from its humble beginnings as a fringe musical in Chicago, to its unparalleled success on Broadway, to the making of the film that became the highest-grossing movie musical of all time. You will get an in-depth, close-up look at the making of this Hollywood classic and the creative talent in front and behind the camera that made it all happen. Thirty-plus years after its release, Grease is still the word!